How Much Compensation Can I Claim For A Birth Injury? The birth of a child is a very emotional time for the parents. Apart from the physical stress and anxiety of childbirth, the expectant mother can require constant monitoring and special care. During the hospital stay, doctors or other staff members may fail in their duty to provide the highest standard of care. In the worst cases, this can result in injury and maternity negligence claims. Unfortunately, even the slightest medical negligence can cause birth injuries to both the mother and child. Such tragic incidents usually lead to legal proceedings against the hospital, the doctor, and the medical staff. These situations are life-altering for both the new-born baby and the parents. In birth negligence stories such as these, seeking an expert legal opinion can be the best course of action. This guide will provide information about birth injury compensation claims to make that process easier. Claiming for birth injuries to the mother. Claiming for birth injuries to the baby. The link between birth injuries and cerebral palsy. Birth injury facts and statistics. Medical profession’s duty of care. What are the common grounds for making a birth injury negligence claims? Are there different types of birth injury negligence claims? Assessing the severity of a birth injury. The long-term effects of a birth injury. What to do if your child has suffered a birth injury? What can be claimed after a birth injury? No win no fee birth injury claims. How much can I claim for a birth injury? 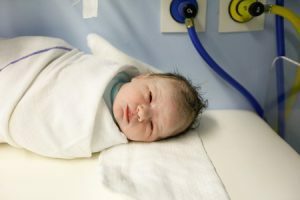 How to start a birth injury claim? Why choose us as your claims service provider for a birth injury claim? According to information from the Birth Trauma Association, as many as 200,000 women may feel traumatised by a childbirth. This can lead to them developing symptoms similar to Post-Traumatic Stress Disorder or PTSD. Injuries and accidents surrounding the birth of a child can be among the most serious and concerning. This guide will help all family members of birth injury victims learn more about birth injury accidents and the legal action that may follow. The sections in this guide have been organised in such a way you can easily understand the required steps for filing a birth injury claim case. The guide begins with an explanation of birth injury, medical negligence, and the consequences of medical negligence for the mother and the baby. After that, the guide will discuss the medical profession’s “duty of care” and explore the circumstances in which this professional duty may have been flouted, causing damages to the baby and the mother. By the end of this guide, those considering pregnancy medical negligence cases or similar will be better informed about their legal options. The Birth Trauma Association has more in-depth info on birth injuries. A birth injury is a health issue sustained by either a mother or the baby during a childbirth. Factors such as the doctor’s competence and experience, the medical staff’s competence, the available hospital facilities, and emergency care can affect the success of the procedure. In many cases, surgical injury to the mother during birth results in birth injuries to both the mother and the child. Cerebral palsy is one of the most common birth injuries, with brain and nerve damage closely following. In assisted deliveries, tools such as forceps have been known to cause birth defects. In extreme cases, medical negligence may cause the death of the baby due to an umbilical cord around the baby neck or a ruptured placenta. Birth injuries can happen when the doctor or a medical staff fails to adhere to the highest standards of treatment procedures or fails to provide adequate medical support during childbirth. The most common reasons for such failures include inadequate monitoring of the patient, incorrect diagnosis, lack of medical experience, lack of experience in handling specialised equipment like forceps, or failing to take adequate remedial action if necessary. If you are able to demonstrate medical negligence in a legal setting, you may be able to win compensation following an accident. 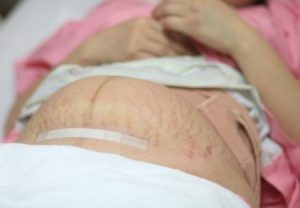 The birth injuries more commonly associated with the mother can include fissures, vaginal tears, poor stitching after a c-section, or secondary infections caused by mismanaged post-delivery complications. In any of these situations, where negligence or liability can be demonstrated, we invite people to seek a legal opinion about the birth injury to mother compensation. In the event of the death of the mother, a family member of the mother, a spouse, or a civil partner may wish to file a claim on their behalf. The birth injuries associated with the new-born child can include cerebral palsy, stuck shoulders, brain damage to damaged nerves, fractured skulls, and death due to lack of oxygen. The parent or close family member of the child should seek immediate legal advice about the next course of action, which could involve taking a third-party medical opinion on the matter. In cases such as these, it can be important to have a qualified legal professional working on your case, helping you to demonstrate the liability of the defendant. Cerebral palsy is one of the conditions most commonly associated with birth injuries. The primary cause of cerebral palsy is a brain injury, which can be caused by certain actions that may occur during the delivery procedure. One of the first organs be affected by a birth injury is the child’s brain. This birth injury leads to defective brain development after birth. As a direct consequence of this brain damage, the growing child is highly likely to develop permanent disabilities in muscle movements, body balance, and posture. As a result, the parents may be able to claim compensation. Mortality rates for babies of mothers under 20 years of age are the lowest (6.1 deaths per 1,000 live births) when compared to mothers of other ages. In 2013, 2,686 infant deaths (under 1 year) were recorded in England and Wales, occasionally as the result of birth injuries or complications. In 2013, the mortality rate for babies was 3.8 deaths per 1,000 live births, the lowest in the medical history of England and Wales. In 2013, the mortality rates for babies with low birth weights was 32.4 per 1,000 live births. You can also review other similar sites for statistics on birth injury claims UK. The UK Government has more detail statistics on birth injuries. The medical profession’s “duty of care” compels doctors, nurses, and other medical professionals to take maximum precautions and any necessary action to ensure that all treatment decisions, procedures, and logistics have been carried out with the patient’s welfare in mind. In the event that they have not done so, it may be that there is a medical negligence case to be made. If you want to know more on this topic, the Royal College of Obstetricians and Gynaecologists provides a number of resources. General misdiagnosis – This may include any wrong diagnosis or partially wrong diagnosis leading to a birth injury. Anaesthesia mistakes – This may include injuries caused by incorrectly administered anaesthesia to the mother during a surgical procedure. Complications as a result of incorrect or surgical procedure – This may include injuries caused as a consequence of the incorrect medical or surgical procedure. Errors in cosmetic procedure – This may include birth injuries caused by a poorly performed surgical procedure. Care negligence – This may include injuries caused during postnatal care. Being able to demonstrate one or more of the above examples of negligence will form a key part of your compensation claim. If the victim is responsible for the birth injury, it is considered a case of “contributory negligence,” in which case no compensation or damage is likely to be paid to the victim. If the injured victim is partially responsible for the birth injury, it is a case of “comparative negligence,” in which a court will decide the relative proportion of responsibility shared by the victim with other guilty parties. In the case of a “vicarious liability,” the hospital or medical organisation employing the doctors and staff will take the responsibility for the birth injury. In the case of “gross negligence,” medical professionals violated their “duty of care.” In this situation, a legal proceeding will take place in a court, likely leading to license revocation and suspension of medical professionals. In this case, the court may decide to award traumatic birth compensation. If you meet with a legal professional, you will be able to discover which of the categories best suits your own claim. If your child has suffered birth injury and you wish to initiate a legal case, one of the first things any solicitor will ask you involves describing the extent of the injury suffered by the mother, the baby, or both. This is because the severity of the injury will play a key role in the claim. Any likely compensation claim payout will depend on the severity of the injury suffered. As we will see in a later section, the more severe an injury, the higher a payout will be. This can be taken as a firm guideline though it is not always the case. As such, diagnosing the full severity of your injury will be important. It’s one of the reasons why we offer clients the chance to have a full evaluation, which we will arrange with a local doctor. In doing so, we will be able to fully understand the severity of the injuries caused by your accident. The long-term effects of a birth injury can remain hidden until later life. Certain conditions can remain hidden until the child reaches maturity. The adverse effects on the child’s body can manifest themselves in the various organs of the human body at different stages of life. In the most severe instances, this can include defective or malfunctioning organs. In less severe cases, it may require surgery for correction. Thus, patients are known to suffer from the effects of birth injuries in their adulthood, which can lead to anything from a physical handicap to psychological disorders or brain damage, resulting in an inability to earn a living. Trying to determine the long-term effects of an injury will form part of the compensation claim. It is why we arrange medical evaluations for clients, hoping to fully and accurately diagnose any potential medical condition which might reveal itself in later life. In doing so, we can be sure that we are seeking the right amount of compensation. Seek a second medical opinion. Once you are certain that all of the immediate health concerns are rectified, it can help to seek a second opinion. If you need a further evaluation, we can arrange this on your behalf. Organise and document any evidence you can. If you do not make notes about the evidence, you may forget crucial facts later. Start gathering all bills and receipts and estimating the financial losses, which may be anything from medical expenses to loss of income to expenses due to psychological trauma. Taking the time to walk through the above process can improve your chances of filing a successful compensation claim. Medical expenses, which may include all medical expenses incurred following birth injury incidents, such as the need for a specialist or private healthcare. Travel expenses, which may include all transportation costs for travelling between the hospital and client’s home, between the law office and client’s home, and all other trips related to the birth injury case. Funeral expenses, which may include expenses paid to cover funerals in the event of death. With the advice of a professional legal team, you can be sure that you’re claiming the full compensation total and can maximise your payout amount. We believe in providing our clients with the maximum financial and emotional assistance after a medical negligence incident, which may already leave you traumatised. Our Conditional Fee Agreement (CFA) deal – which we call our ‘No Win No Fee’ approach – helps to make the entire process much easier. We provide legal consultation and advice at a time when you need it most. What’s more, our client-friendly approach means that we want to help you reduce the stress, risk, and confusion so often related to a compensation claim. The following table provides representative injury types with associated descriptions, severity, and applicable compensatory payments. Medical negligence claim settlements are settled on the individual merits of a case, so these figures are provided in a purely advisory capacity. However, you can still use this birth injury compensation calculator to provide an overview of potential settlement amounts. Though the table lists only a few health concerns – and, thus, your case is not likely to be mentioned – the table can be used to demonstrate how influential the severity of an injury is when deciding a final settlement total. This is why an accurate diagnosis is so important. For accurate compensation claims procedures and average birth injury settlements, the readers of this article should use the contact information provided below to get professional advice from our legal team. When your child has just suffered a birth injury or both the mother and the baby have suffered injuries, you may wish to take legal action. This can be a complicated process, however, and it may not be an ideal time in which to familiarise yourself with the laws, regulations, and processes which can be involved in such a claim. This is why we always advise clients as to the benefits of working with professionals. Medical negligence solicitors can patiently hear your case, review the evidence, and objectively assess the merits of the claim. They will also be able to judge whether you have a strong case for compensation and be able to provide an estimate of a potential settlement amount based on previous experience. If you call our law firm, for example, our expert legal team will know exactly how to investigate available facts and can arrange for a third-party medical opinion when proceeding with the case. The legal team will provide not only a free consultation but will also provide legal representation during the court proceedings if you desire. If you want to begin a claim, this is the easiest, least stressful way in which to proceed. A ‘No Win No Fee’ Approach. The ability to arrange a medical evaluation with a local doctor. A strong sense of integrity and ethics. If you are seeking the best legal assistance available, there’s only one company you need to call. Speak to our team today for more information about what sets us apart. If you believe you have a viable claim for compensation following a birth injury or accident, you want the best legal representation. When you want the best, we’re the company for you. You can call us at 0800 073 8804, chat with us through our website, or use the online contact form to get in touch. We’ll arrange a consultation at a time that suits you. If you want legal assistance, get in touch today. Misdiagnosis compensation claims have you been misdiagnosed? Find out how much compensation you can claim for a misdiagnosed birth injury claim. Cerebral palsy is caused by a brain injury that happens before, during or soon after birth, find out more. This Citizens Advice page tells you where to start when you want to sort out a problem with a NHS hospital. Find out more information on how to complain to the NHS after a birth injury.